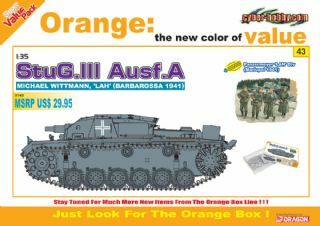 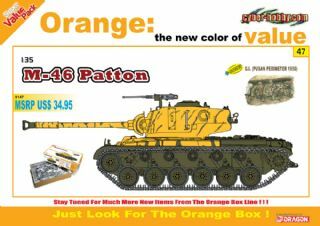 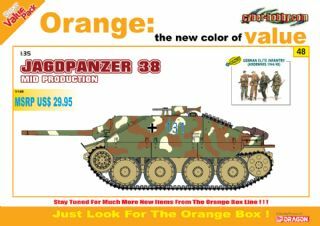 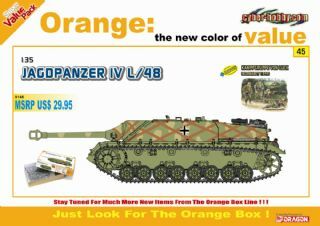 Box Size: 6.4" x 10.2" x 1.9"
Cyber-Hobby is well known for its fantastic Orange Box tank and figure set combos in 1/35 scale. 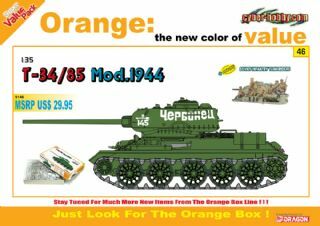 These special sets provide updated Dragon kits that have not been available for some time and at competitive prices. 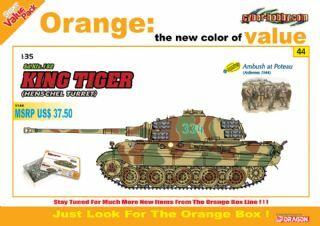 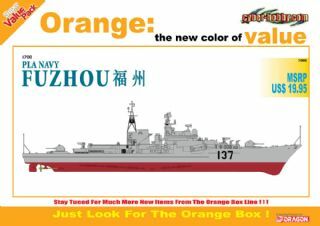 Cyber-Hobby is now greatly expanding the Orange Box line into several other scales, all with the same benefits – great quality at a good price. 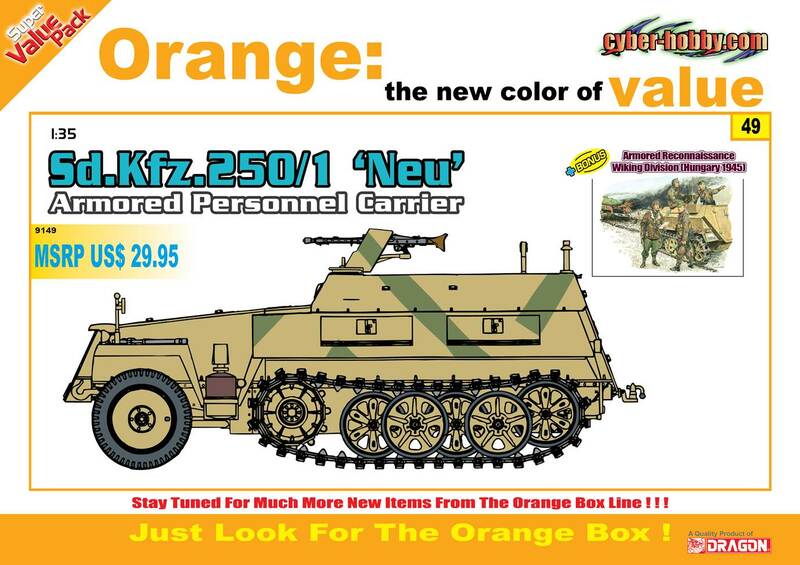 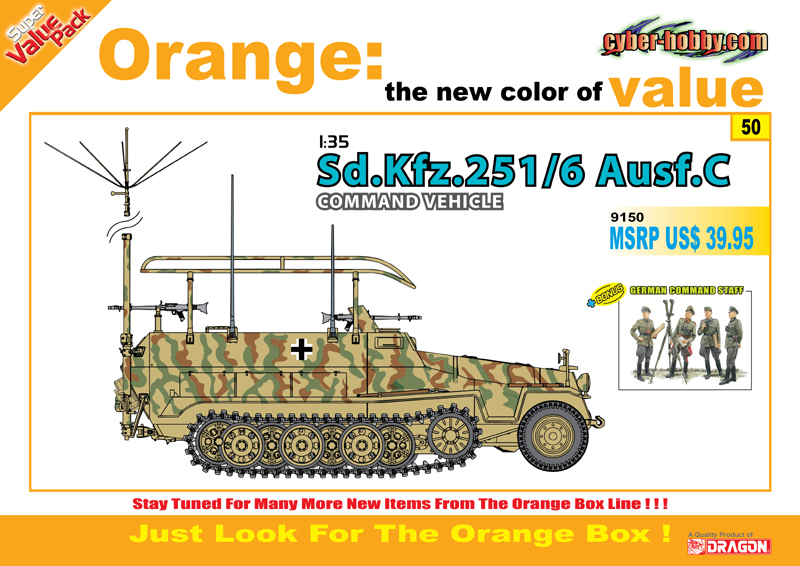 Now modelers can get hold of kits that have long disappeared from shop shelves, many years ago in some cases. 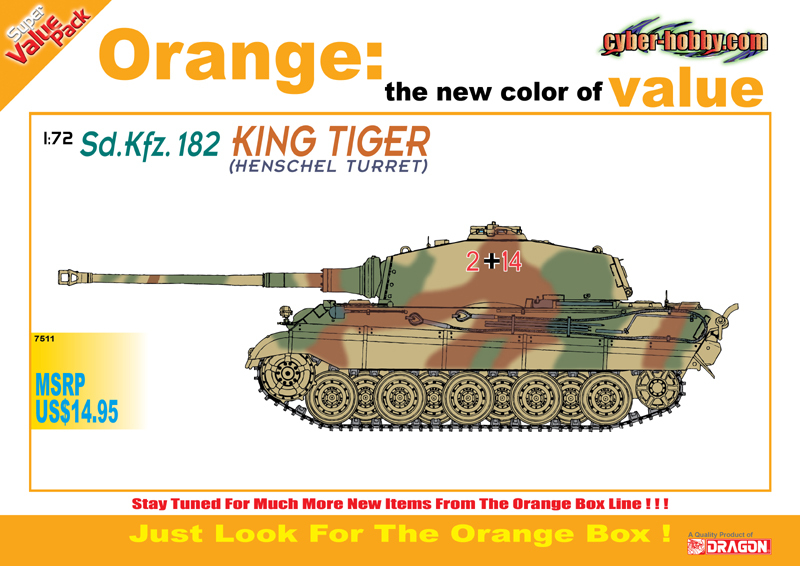 Kingtiger tank with the more common Henschel production turret. 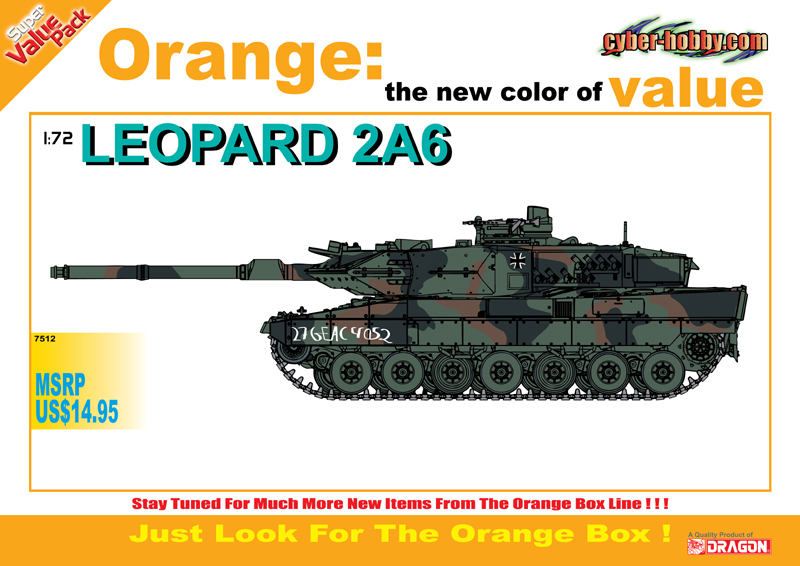 It’s a big tank, but now modelers pay less! 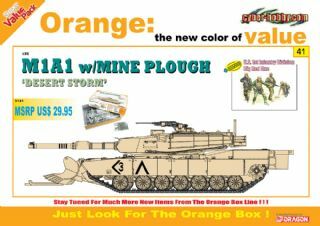 1/35 M1A1 w/mine plough "Desert Storm"